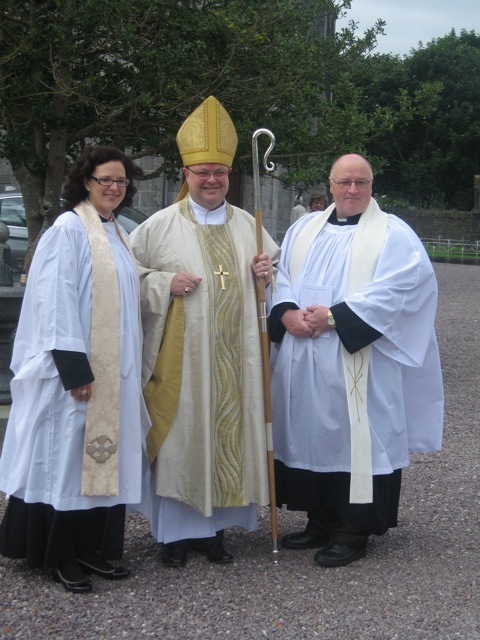 The Reverend Sarah Marry (left) and the Reverend Tony Murphy (right) who were ordained to the Priesthood on Saturday, 8th September 2012 (the Feast of of the Birth of the Blessed Virgin Mary) by Bishop Paul Colton in Saint Luke’s Church, Douglas, Cork. This entry was posted in Bishop, Clergy, Diocese, Ordination. Bookmark the permalink.